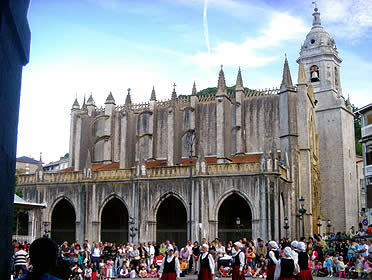 If you come and visit us, there are several places you can´t miss. Lekeitio is one of them. I spent several childhood and adolescence summers there, with my family (those long summers that started in June and ended by mid September, adapting to school holidays), so it´s a special town to me. 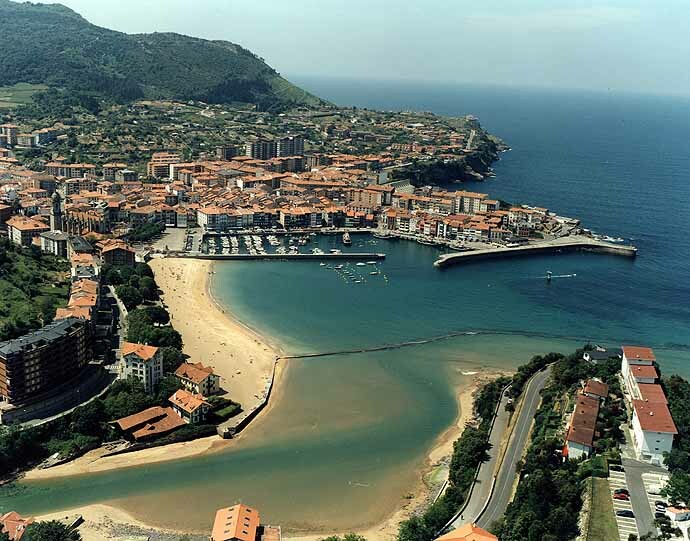 Lekeitio is on the way from Bilbao to San Sebastián, on the very scenic coastal road. It takes about one hour by car to get there from Bilbao, driving on a very curvy road (those that get sick on cars, take your precautions before). They´ve just opened the bypass approaching Lekeitio, so now it´s more accessible. This is a fishing village, or maybe I should say “still”. The number of fishing boats is rapidly decreasing, and pretty soon this beautiful village will have to find other ways of earning an income. There are three beaches, Isuntza, Karraspio and La Salvaje. There´s an island that is linked to the continent by a wall, that disappears under the water with high tide (on the intro of this web you can see an overview of the town, www.lekeitio.com). 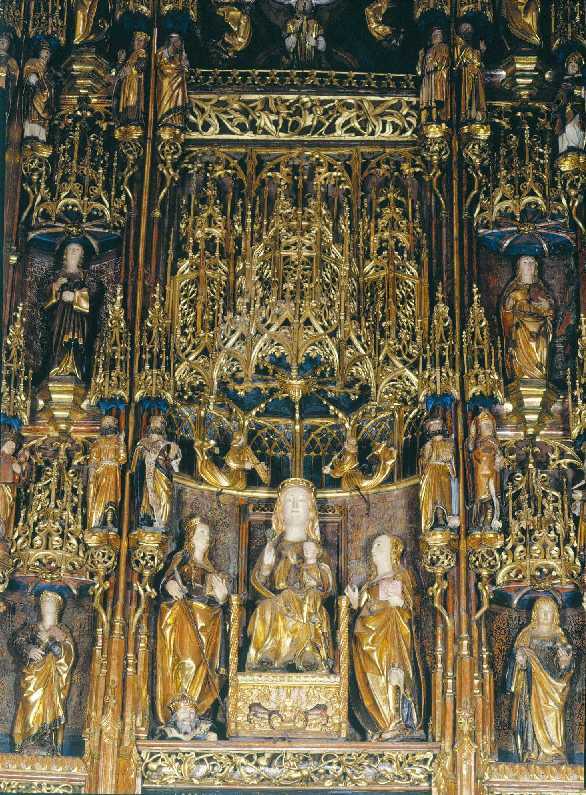 There´s a XV century beautiful gothic church, Asunción de Santa María, with an incredible altarpiece. 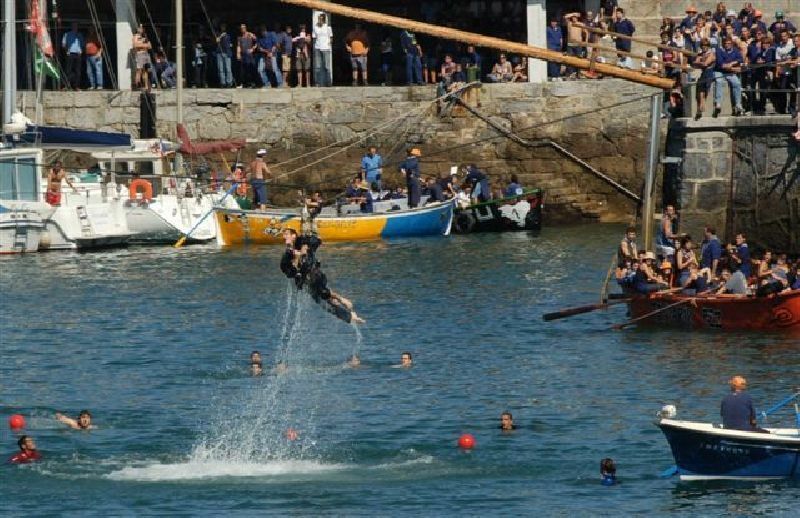 There are great festivals in September, 8 incredible days – not to forget Goose Day, when they hung dead gooses from a a rope on the port (used to be alive) and people on boats hung from their neck trying to break them, while being pulled and pushed up and down in the water.